The Santa Cruz Beach Boardwalk is located on the ocean with views of Monterey Bay. A couple of years ago I painted plein air at the Santa Cruz Beach Boardwalk with a friend, Kathy Ellis. It was a beautiful sunny fall day, and all of the rides were closed. We were the only two people around, except for a few staff members. 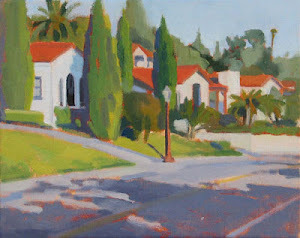 It was a challenging place to paint with all of the bright colors and architectural structures. I've wanted to paint the Boardwalk again. 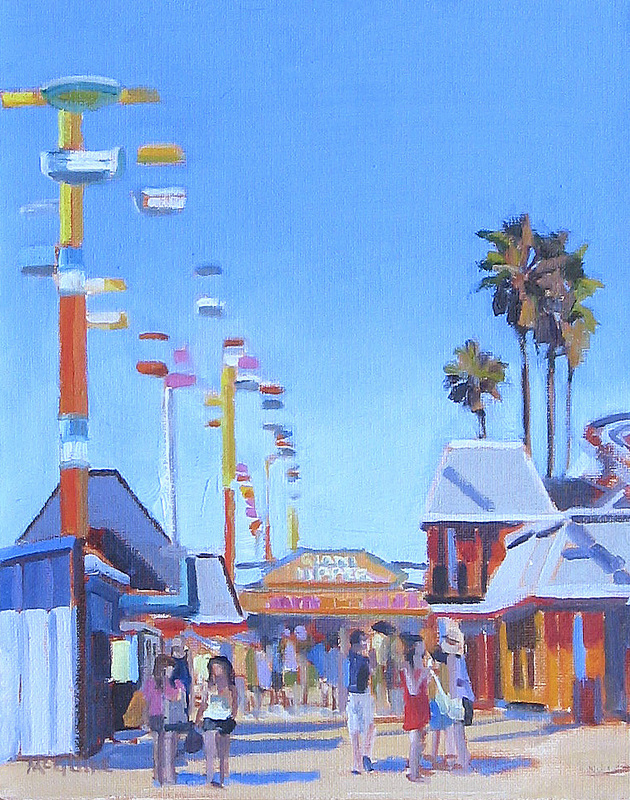 My painting shows a busy day at the park with the entrance to the world famous Giant Dipper roller coaster in the background.